Every year on October 21, reptile enthusiasts celebrate Reptile Awareness Day. This day is intended to promote education for the conservation and assessment of reptiles, to learn about their natural habitats, their contribution to the environment and the factors that threaten them. This day was created not only for reptile enthusiasts who already know reptiles, but also those who are ignorant, afraid of reptiles and think that everyone of them is dangerous and venomous. Many snakes are killed every year by people who thought they were poisonous. 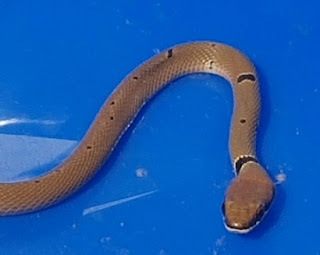 For example, snakes of the Coluber species that are common in populated areas are mistakenly identified as a viper and many times when people encounter them, they kill them. In the picture: Platyceps Najadum, non-venomous snake that is not dangerous to human. Reptiles are a group of cold-blooded animals with nearly 10,000 known species. What characterizes reptiles is that they are not mammals, not birds, they have cold blood, scales or shells and they bring offspring to the world by laying eggs. Among the reptiles can be found turtles, snakes, lizards, crocodiles and more. Reptiles are called reptology. No, the snails are not reptiles, they belong to the molluscs department, to Subdivision of cochlear.